AMDA graduate Devanand Janki (1989) will direct and choreograph the upcoming Kennedy Center production of The Wings of Ikarus Jackson, running February 4-9, 2012 at the Kennedy Center’s Family Theater. The play is a combination of dance and theater, adapted by writer Jerome Hairston from the colorful children’s book Wings by Christopher Myers. The story is an inspirational tale about Ikarus Jackson, a boy who can fly but struggles to fit in. While most of his classmates find him strange, it is the belief of one girl that makes all the difference, allowing him to spread his wings and soar. Devanand is an award winning director and choreographer with a long list of credits that include: the Off-Broadway hit, Zanna, Don't, which won Lortel, Callaway & GLAAD Media Awards, The Yellow Brick Road , Junie B. Jones, Cupid & Psyche, Henry & Mudge, Shine! The Horatio Alger Musical, This One Girl's Story, and Romantic Poetry. Along with Funny Girl featuring 16 Fanny Brices including Whoopi Goldberg, Bebe Neuwirth, and Jane Krakowski, the Grammy nominated Hair with Jennifer Hudson, the 20th Anniversary Concert of Dreamgirls (Associate), Seth Rudetsky's Broadway 101 at The New World Stages and Annie: The Concert starring Andrea McArdle and Rosie O'donnell as Miss Hannigan on board the R Family Cruise. 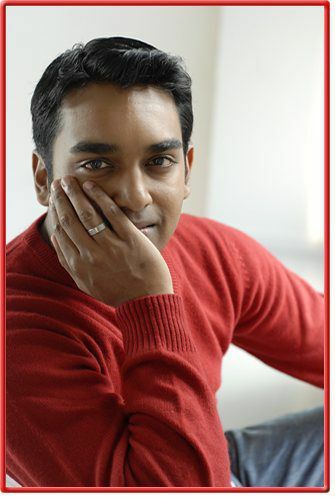 AMDA celebrates alumni Devanand Janki for his outstanding achievement! For further information and tickets.